d. December 24, 2008, Auto accident near Alexandria, MN. Age 12.
also killed in the accident were his father and brother Samuel J. Survived by mother and sister. b. March 2, 1905 in PA (has brother Carl M. listed as the same age in the 1910 census) Appear to be twins. However records of sister Wilma have Charles, not Carl born same day? Gemmill is the maiden name of his mother's mother, Mary L. Gemmill, wife of Jacob A. HILD. Issue: yes 2 sons; one with two daughters and a son with two sons. Also a daughter Elizabeth Ann Dunnick b&d 1938, buried Zion Methodist Cemetery, Hopewell Twp, York Co., PA with her g. grandparents Charles M. & Elizabeth (LIEB) DUNNICK & grandparents John H. & Susanna DUNNICK. Source: 1910 Census of York Co. PA// grandchildren at Nickol Bell Ancestry by Sharon L. Swope, rootsweb.com. Source: Tombstone Mechanicsburg, Sangamon Co., IL /// 1860 Sangamon County Census - page 373 /// Not to be confused with George J. son of Elisha's brother Nicholas who was the same age, but still living in 1870. Source: Photo of tombstone from Shirley Gossick, and records compiled by her sister Bonnie. d. after August 1847 when property is sold that was part of Joshua's estate. Listed in Guardianship papers prepared November 10, 1846 and filed with the court Feb. 7, 1847. Middle name - In the guardianship papers (May 15, 1839) George's middle initial is listed as B. Listed in the Warsaw, Kosciusko Co., IN 1870 census - bricklayer. "He died in January, 1917 at Morrowville, KS." based on the 1900 census - George lists 1 marriage at age 19 (1857). George & Eunice had their first child in 1860.
d. 5 November 1880, 41 years 5 mos. In an email from "Cheryl" she tells us that Eunice's parents "are Southey King Timmons and his first wife was Twilley Timmons. Southey and Twilley were cousins. They were married in Sussex County, DE and moved to Pickaway/Ross Co., Ohio area, then on to Carrol/White County, IN by 1843 when Southey married Nancy Price." She also indicated that Eunice had a brother Smith Timmons, Jr., and that Smith and Southey were the sons of Smith Timmons Sr. of Sussex Co. DE. Smith Timmons Sr. who d. 1838 in Sussex Co DE and wife Hettie King as being the parents of Southey King TIMMONS (b.1812). Southey first wed Twilley Timmons 23 December 1833 in Sussex Co., Delaware. Mr. Conrad lists them as having seven children. Southey then wed Nancy Price in Carroll Co. IN and had a son Perry by her. Southey died in 1850 in White Co Indiana where he is buried in Idaville Cemetery. His brother Smith Jr. was born 1809 in Glasglow, New Castle County, DE, and other names listed by Mr. Conrad are Leah, Sally, Abraham, Esther Peggy (b. 1774), and Mathas (b. 1802). George & Eunice had 11 Children: John b. ca 1859, William Jasper (1860 -1923) / /Southey King (1863-1888 // George B. (1864-1866) // Alonzo Greene (1866-1937 ) // Margaret "Rosella" "Rosa" (1868-1891) // Frances Edward (1870-1871) //Minnie Louella (1872-1932 ) // Egbart Alphonzo (1874-1927) // Harvey Ensley (1876-1881) // Eunice Victoria (1878-1946 )// and Nora May (1880-1880). Confusing: In the Biography of A.G.(Alonzo Green) DUNNUCK, 11 children are listed but not exactly the same as above. The biography lists a Franklin J. rather than a Frances Edward. Also confusing are the two Minnie Kemper's. E.A. (Egbart Alphonzo) was married to a Minnie "Kemper". In A.G.'s biography, Minnie Kemper is listed as a sister. Sister Minnie was the wife of Leu Kemper. I believe Egbart's wife, Philomena Kemper was called "Minnie". 1860 Census Jackson, White Co. IN (Burnettsville) for George and "Nicy" DUNNICK ages 22 (Farmer) and 21. Son John age 1. 1866 Nov son Alonzo b. in Lathom NB. 1880 Census family in Hanover, Washington Co. KS. 1881 marriage to Geo. DUNNUCK, July 24, 1881 per her obit. 1900 Census for Franklin township, Washington Co. KS. microfilm series T623, roll 503, book 1, page 83 lists George F. Dunnuck age 62 head of household as born March 1838 in OH. He is a farmer. With him are his wife, Mary, age 57, who was born August 1843 in Massachusetts and his son Alfonzo age 25 and Alfonzo's wife Minnie age 27. Alfonzo and Minnie have not yet been wed one year and Alfonzo is engaged in farm labor. Alfonzo was born January 1875, and Minnie was born April 1873. Mary and Minnie have not ever had any children. There is a Mary DUNNUCK buried in the Washington City Cemetery in Washington Co. KS The dates on the tombstone are August 14, 1843 - May 6, 1904. Block 4, Lot 21.The dates are consistant with Mary Atwood Dunnuck. Source: The Washington Register, Washington County,KS Thursday May 12, 1904 donated to GenWeb by Jim Laird. b. 11 November 1892 - on WWI draft registration card. age 24, born: Lincoln, IL, carpenter, single - supporting Mother. 1920 census for Wood River Twp. Madison Co. IL George age 27 b. IL, - "Carpenter, houses"
1920 Female infant b & d. 16 Dec. 1920. d. Akron, Summit Co., Ohio. 1930 census lists them as living in Du Page County, Illinois, both age 37. No children are listed in the household. With them is living Milton HART, brother-in-law, age 39 single) George is a general contractor living on Hill Ave. in Glen Ellyn, and Milton is a brick layer. 1930 Census -Hill Avenue, Milton twp. Village of Glen Ellyn, DuPage County, Illinois; Roll: 511; Page: 5A; Enumeration District: 49; Image: 754.0.
b. 16 January 1851 near Mechanicsburg, IL, Sangamon Co.// His obit has him born January 25th. Moved to Arizona in 1906 - carpenter & house moving. 1906 George's obit says he want to AZ in 1906, wife died in 1918. 1910 Census: Hattie listed as Head of Household, age 54, with sons Clyde age 21, and Earl -age 19. 8 children, 7 living. Listed as married, -- for 38 years - but no husband listed. 1918 (From Hattie's obituary) Died "after an illness of considerable duration." "She was married to George Dunnuck now deceased, at Mechanicsburg"
b. ca 1848 in IL, age 71....Parents born in PA - Carpenter, living alone. 1920, 1921, 1922, 1923 Business directories for Flagstaff, AZ George DUNNUCK "House Mover"
Oops d. age 82 (ca 1933) Buried Mt. Elden Cemetery near Flagstaff, AZ..
+. Harriett Agnes F. DUNNUCK Hattie FULLENWIDER on Dec. 26, 1872, Mechanicsburg, Sangamon Co. IL See Sangamon Co. IL Marriage book Volume 4, page 534. (Harriett Agnes)was the daughter of Jacob Nelson and Sarah Agnes (BULLARD) FULLENWIDER of Mechanicsburg, IL. One of 11 children. d. (Hattie F. DUNNUCK) August 18, 1918, buried in Union Cemetery, in Logan County, IL. "died at her home on Keokuk St. after an illness of considerable duration." 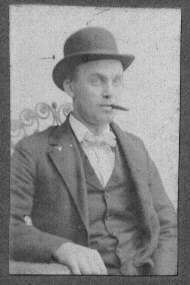 George lived in Lincoln, Logan Co., IL in 1902. A 1961 Obit. of a Grace (DUNNUCK) KECKLER lists survivors as her daughter Aileen SEGGELKE, a brother George of Glen Ellyn, IL, a brother Earl of Lombard, IL and a Sister Florence Wunderle of Lincoln, IL. Source: Illinois State Journal published July 11, 1961, page 14. Buried at Elkhart Cemetery on the 12th. b. ca 1906 - age 23 in 1930 census. George L. DUNNUCK (also see the George Faith entries above) L is not correct. F is correct. George S. DUNNICK George age 13 in 1920 with Frank & Lena in 1920 Census, Columbus. 1945 living on North High St.
1968, Sept 13 -- George named Sales Rep for the Southern Ohio Area Provident Securities Co. underwriters for a Real Estate investment firm. His obit does not list any children. Survived by wife, Naomi of Columbus. Buried Union Cemetery, Columbus, Franklin Co., Oh. + #1 Elsie KURTZMAN (2 daughters) b. June 14, 1910 + about 1926 - divorced in the 1930's. 1930 census for the city of Columbus, Ohio census district 156, has George Elsie, married 3 years living with Lena. George is President of a Taxi Co.
Children (by #1 Elsie): Betty Jane Lucille (Dunnick) ORGA b. 11/1/1926 d. 9/12/2000.and May DUNNICK b. 1927. died as a child. + #2 Naomi L. LIGGETT wed in July ? (July 19, 1968 celebrated their anniversary & George's birthday. Naomi & George buried Union Cemetery, Columbus, OH. 1942 Mrs. Charles H. Liggett - mother of Naomi living Elmwood, IN, (she died Nov 1956 at the home of dau- Mrs. Babbitt) of Elmwood, IN. All buried Union Cemetery, Columbus, Franklin County, Ohio. Source: 1910 Columbus, Franklin Co. OH// obituary of Lena, published Dec. 2, 1962, in The Columbus Dispatch. Source: death certificate 2672, volume 21960 // Naomi's Obit. publ. in the The Columbus Dispatch, July 6, 1975, page 2D. // Wendy Marcum-Leary great granddaughter. + Mary - she d.. 5 March 1845. 1840 census Ancestry.com roll 503, page 227, (image 3 of 10) lists George with a wife, whose age was 20-30, and two children (Jane & Charles) under the age of 5. George is 30 and another male is between the age of 20-40. One free male "colored" age 10-24 is in the household. Son: Charles Malloy Dunnick and two sisters. According to George's Great Granddaughter, Wilma, and shared with us by her grandson D.K.S. George and Mary had 5 children. Nelson, Charles M., Joseph (who never wed), Jane and Sarah who died in 1839.
d. 16 February 1904, Kosciusko Co., IN. Buried: Pleasant View Cemetery, Kosciusko Co. IN. m. Sarah Ellen "Ella" PICKERTON 4 March 1875 Kosciusko Co. IN. (Per D. S. Copeland and the Kosciusko Co. Marriage index.) LDS files show Mar 2. George M. born July 1857, age 48, farmer, wed 25 years. Wife Sarah E. born June 1851 age 42 (I believe this is backwards - George W. born 1851, and Sarah in 1857) Sarah mother of 5 children, all living. Orrin E. born July 1876, age 23 // Ina A born April 1878, age 22 // Henry O born March 1882, age 18 // Samuel R. born April 1885 age 15 // and Victor A. born February 1893 age 7. 1910 census Sarah E. Dunnuck, Mother-in-law, living with daughter Ida Paxton & her family in wayne twp., Kosciusko County, Indiana. d. May 15, 1928 South Bend, IN. Children (4) :Orrin E. b.1876 .// Ina A.- b.1878 // Henry O- b. 1882 // Samuel R. "Rollin"- 1885 // Victor A- 1893.
d. October 31, 1946 Burket, Kosciusko Co., IN. Buried Mentone Cemetery, at Mentone, Kosciusko Co., IN. 1900 Census has George and Emma in Harrison twp, Kosciusko Co. IN, Series T623, film 382, Book 2, page 51A. They have been wed 4 years and have no children. George is a farmer, age 29, born June 1870, and Emma age 30, born August 1869. 1920 census has George W. DUNNICK age 50 b. IL - Day Laborer, wife Emma J. age 50. and with them is George's brother, Nathan H - age not give or unreadable - single - Farm Labor. They are living in Burkett, Steward twp, Kosciusko Co., IN. Series T625, Roll 439, part 2, page 121B. 1930 census: George and Emma are both 60 and living in Seward twp., Kosciusko Co., IN Living with them are George's brother, Nathan, age 52, single. (farm labor), and a Foster-son James HITE age 13 - newsboy. George is a Laborer at a saw mill. d. November 9, 1982, Estacada, Clackamas County OR. b. 16 June 1890 in Warren, IN. "Gladys and Bertha DUNNUCK left Saturday for a few weeks visit at Lanham with relatives, thence to Beatrice to visit their father." + Joseph C. DAWES -married about 1913. 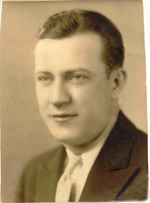 Joseph was born in KS about 1890 to parents who were both born in KY. Joseph was a farmer. Source: History of Leavenworth (KS) County, by Hall & Hand publ 1921 // and SSDI // 1930 census for Thomas Co., KS. published by the Kosciusko Co. Historical Society, page 169.
siblings were Roy L. of Mentone, IN, Leo, Victor, and Fern. 1880 census has her age 7, living with widowed father, a farmer in Walnut Twp, Pickaway Co. OH. There is a Golda DUNNUCK, father C.W.who are the parents of Charles Ervin ADAMS b. 1915 ???? Grace - 1930 Census for Jasper County, Iowa lists Grace as 56 . Dau. 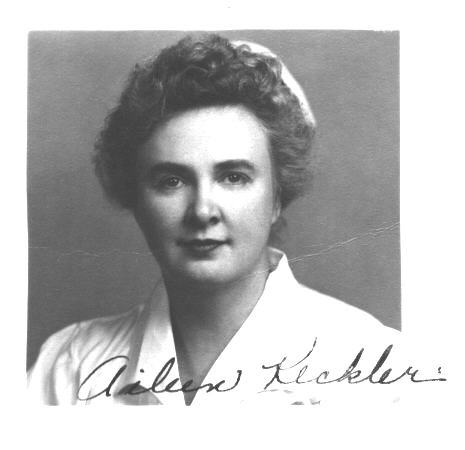 Aileen Keckler d. July 10, 1961 of Lincoln, IL Buried Elkhart (IL) Cemetery on Thurs July 12th. 1900 census for East Lincoln, District 29, Logan County, IL has Melvin G. Keckler a boarder in the Frank Drake Home. Melvin is age 27, born August 1872, single IL/MD/MD - doing restraunt work. 1920 Census M. G. Keckler of Manchester, Delaware Co., Iowa, Age 47, born IL. Wife Grace age 45 b. IL, daughter Helen Aileen - age 16 b. IL. Marvin was a Restraunt Keeper, and Grace - Head waiter. Roll: 660; Page: 19A; Image: 914.0. (There Is a Curtis Nelson Dunnick HILDEBRAND, b. 1903 in PA wed a Carrie FEIGLER on Dec. 8, 1928 - no apparent connection. Source: William Harness, STRKFITRON, 34 Unit 60111, FPO, AE, USA (listed in LDS on line files. Grace d/o Chester Sylvanus Hall and Agnes Evaline (HAWKS) HALL. Agnes b. Idaho Falls, ID. Sources: 1930 census for Polk Co. IA lists Gretchen, age 9 http://web.marshallnet.com/~manor/genea/niemants.html. m .Virgil DUNNICK (Is there a town named Virgil in Beadle Co. SD? I have to wonder about her husband's first name. Living with Grandmother, Harriet Shields, a widow in Amanda township, Fairfield Co. OH. Age 8, born Sept. 1841 OH/OH/OH (Harriett lists two children, both living but not in household) Another grandson, Hugh Dunnuck, age 14 born Sept 1885 OH/OH/OH is also in the home. Sister of Guy - Alice DUNNUCK age 58 single. b. ca. 1872 IN/PA/IN 1930 census.